Please note that this is a one time initiation fee with $165 monthly dues. *Memberships must be in good standing dues and account balances must be current. *Dues are payable in advance, and are due 30 days after date of billing. *Accounts with a balance due after 60 days will have membership privileges revoked. *Dues paying members may charge incidentals to their account. *Each Family or Individual Membership must adhere to the Food Minimum Policy, and spend $75 per fiscal quarter at the Match Point Cafe. If this amount is not spent, the account will be billed the difference at the end of the quarter. *Members must give 30 days’ notice of resignation. Resignations must be emailed to club@newsite.santafetennis.net. Dues will continue to accrue until 30 days after receipt of the emailed resignation. *An additional initiation fee is required for reactivating a cancelled membership. *The family of a member with a “single membership” are considered guests, and are subject to guest policies. *Dues cannot be suspended or memberships put on hiatus. A member may take a medical leave for no less than 2 months and no more than 6 months and is required to pay half of their monthly dues while on medical leave. If only one member of a family membership is injured, there is no partial medical leave for that family membership. *Family memberships include children living at home up to age 21 or age 25 if unmarried and attending college. 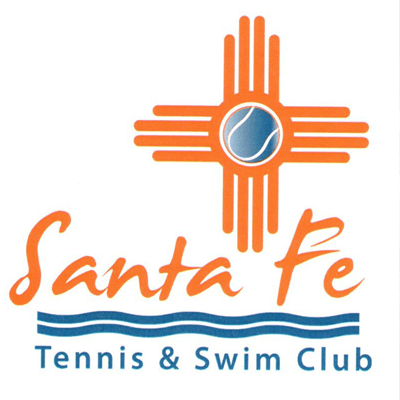 *Out of Town member’s primary residence must be over 60 miles from Santa Fe and they may spend no more than 6 months a year in Santa Fe.